TORONTO, Ont. – FLO, Canada's largest electric vehicle (EV) charging network, is thrilled to announce a three-year collaboration agreement with Nissan Canada to encourage and facilitate EV adoption throughout the country, as the automaker launches the 2018 edition of its signature vehicle, the Nissan LEAF. 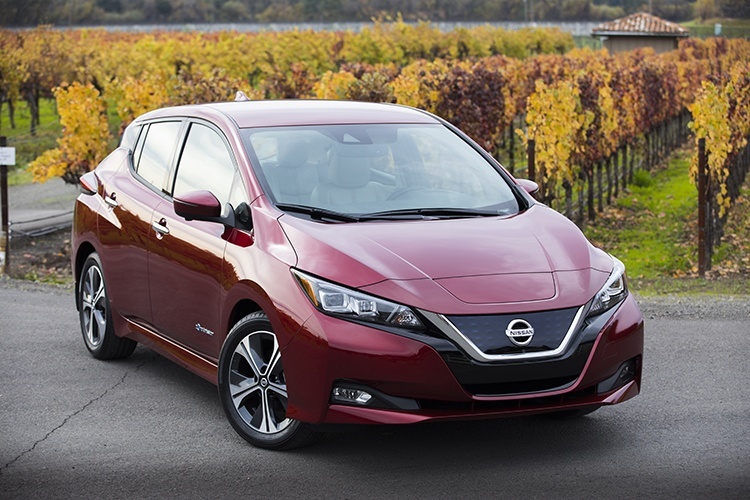 During the term of this agreement, Nissan Canada is recommending the FLO Home charging station and the FLO Network as the prime charging solutions for owners of the pure-electric Nissan LEAF. This agreement follows a successful one-year pilot project involving both parties. New Nissan LEAF buyers will be able to purchase the FLO Home charging station directly from participating Nissan dealerships across Canada. In addition, FLO will be offering new LEAF owners a free membership card to access its countrywide charging network. "We are happy to continue our association with Nissan Canada to provide LEAF owners with the best charging solutions for their vehicle. With a reliable and efficient charging station at home and access to an extensive public network when travelling, LEAF drivers will hit the road at peace knowing their charging needs are fully covered," says Louis Tremblay, President and CEO of FLO. Both elegant and sturdy, the FLO Home charging station is made in Canada and designed to thrive in the harshest weather conditions. The station is available in connected (X5 model) and unconnected (G5 model) versions. A network connection allows users to configure smart energy management features and view usage data from a secure online portal. With their FLO Network card, LEAF owners will also be able to rely on Canada's largest EV charging network to power up their car when travelling. Membership in the FLO network provides drivers with access to thousands of public charging stations from coast to coast, including those of FLO's partner networks, the Electric Circuit (Quebec) and the eCharge Network (New Brunswick). "As the global pioneer in mass-market EVs, Nissan is proud to collaborate again with FLO. The new 2018 Nissan LEAF offers more range at 242 kilometres, Nissan's most advanced technology features like e-Pedal and ProPILOT Assist, dynamic new design—and all at great value with a list of key EV features now fitted as standard. Therefore, we anticipate a considerable surge in our EV business moving forward. 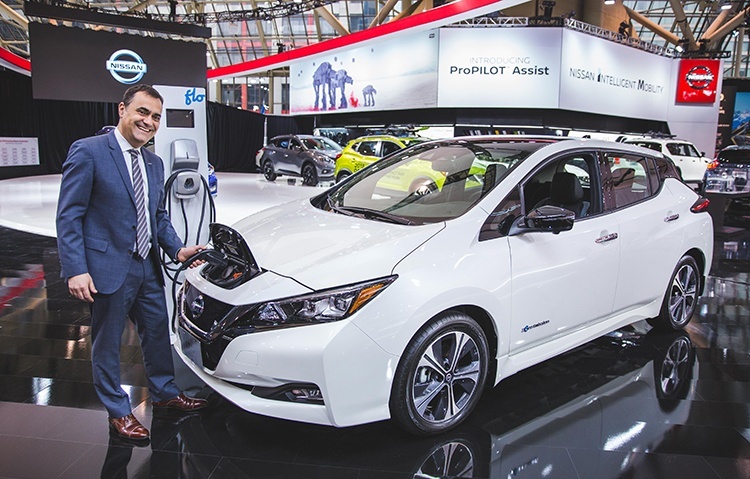 New and existing LEAF customers will receive peace of mind for reliable charging options through our partnership with FLO, which is a pioneer in its own right for allowing EV drivers to push beyond their boundaries," says Joni Paiva, president of Nissan Canada Inc. The FLO Home charging station will be showcased alongside the Nissan LEAF at the 2018 Canadian International AutoShow, taking place at the Metro Toronto Convention Centre from February 16 to 25. FLO will also be taking part in the event as the AutoShow's official EV charging network. FLO is Canada's largest electric vehicle (EV) charging network. The company operates a comprehensive charging ecosystem that fulfills EV drivers' needs wherever they may be—at home, at work or on the go—by ensuring a consistently simple and seamless experience. FLO offers smart home charging solutions for both single-family houses and multi-unit residential buildings, as well as access to thousands of public charging stations across the country. FLO also provides turnkey solutions to property managers, business owners, employers and municipal administrators who wish to support EV adoption by supplying charging services. FLO is a subsidiary company of AddEnergie, a North American leader in electric vehicle charging solutions. For more information, visit www.flo.ca.